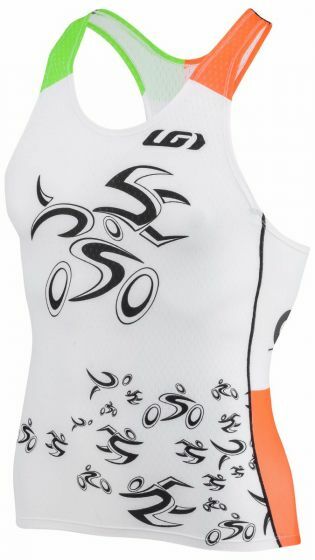 A racer back option with a woman-specific fit. This Tri Tank allows shoulder amplitude. 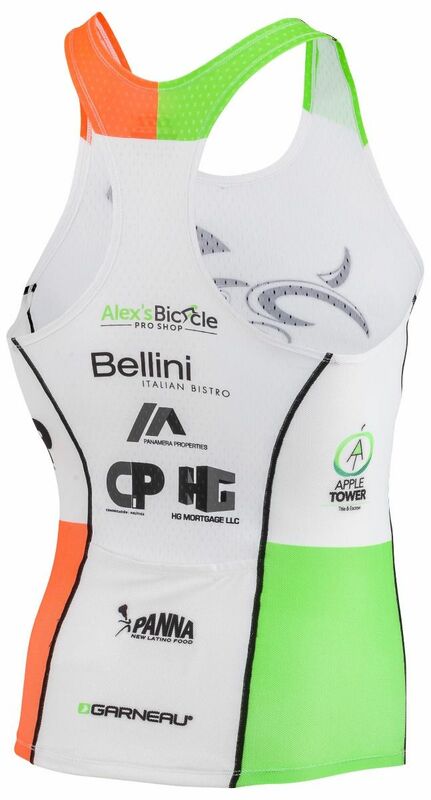 It is made of Delfino fabric that has dimples to increase water and air flow; it is chlorine resistant and quick-drying for great performance throughout the three disciplines. The 2 side panel pockets in ultra-stretchable Power Mesh stay close to the body for optimal access to your food and essentials.